Australian resident Andy Larson, 79, struck his head and suffered from a possible concussion. Matthew Hanes, 32, was not injured. A hometown or country for Hanes was not immediately available. The 35-foot sailboat Rafiki was eastbound heading to British Columbia when it ran into trouble about 170 miles south of Sand Point, Alaska. 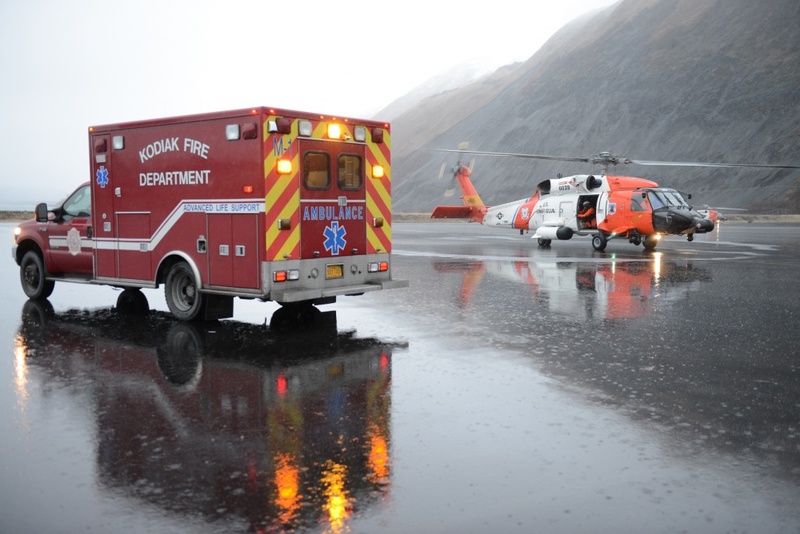 A Coast Guard C-130 aircraft was dispatched out of Kodiak as a communications and observation platform. The aircraft crew also dropped survival suits for the two men since they only had personal flotation devices on board. Petty Officer Jarod Buchmiller, search and rescue controller at the Coast Guard Command Center in Juneau, said the sailboat was taking water over the transom and had lost propulsion. Pumps aboard the sailboat were barely keeping up. An H-60 helicopter hoisted the two sailors aboard and took them back to Kodiak early Wednesday morning. Conditions in the area were reported as 6-knot winds and 6-foot seas. It’s unclear if the sailboat is still afloat. Buchmiller said they issued an advisory for mariners in the area. A container vessel in the area, the M/V Rising Sun, also diverted to help on Tuesday. On September 5, the sailboat had an engine malfunction and had to be towed into Dutch Harbor by the Coast Guard cutter Morganthau. Buchmiller said it’s unclear if any repairs were made there, but that’s where Hanes boarded the vessel. Buchmiller said the Rafiki’s calls for help on Tuesday were initially heard by a ham operator in Hawaii who passed the information on to Coast Guard’s District 14 headquarters.